The passion of a hunter's heart burns bright 365 days of the year. DEC. 31, 2010 — They say that all good things must come to an end. Whether that is true or not, I don’t know. But I do know that one of the best things to happen in the last 30 years to the world of fishing and hunting communication is coming to an end. Tonight, on Dec. 31, 2010, as the big ball drops in Times Square and the official clock switches over from 11:59:59 to the stroke of midnight. Ringing in a New Year…and turning out the lights for good on ESPN Outdoors. After nearly 30 years of outdoors television, radio, and Internet excellence, ESPN Outdoors went the way of the dinosaurs at the stroke of midnight on Jan. 1, 2011. With that subtle move of the minute hand, a golden era of outdoors communication will end. That era has included award winning television programming; radio coverage; Sports Center highlights; and some of the best hunting and fishing coverage that outdoors enthusiasts have ever seen. In the spirit of full disclosure, I must admit that I am more than a bit biased. 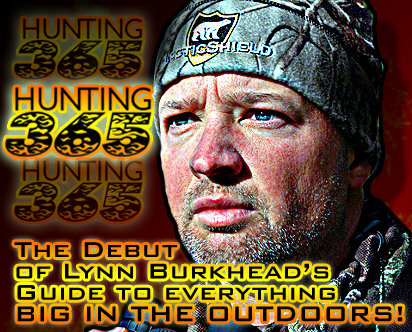 From the spring of 2001 until the end of 2006, I served as a lead writer and an associate editor for ESPNOutdoors.com. Then again from the beginning of 2008 until early 2009, my byline – and my paycheck – once again came from EO.com, this time as a hunting writer, BASS tournament writer, and a blog columnist. All of which enabled me to have a ringside seat. A seat for the final decade of ESPN Outdoors, an entity that sprang to life shortly after the 1979 birth of ESPN in Bristol, Conn. where the cable network began its meteoric rise to the forefront of modern sports consciousness. After debuting in 1981, host Jerry McKinnis and his hour-long “The Fishin’ Hole” program would become synonymous with the rise of ESPN Outdoors. In fact, by the time McKinnis retired from hosting the show in 2007, only the nightly Sports Center newscast would have a longer tenure on the network. Over time, ESPN would continue to expand its outdoors television line-up, eventually filling up programming for several hours on Saturday and Sunday mornings with fishing, hunting, timber sports, and even Iditarod sled dog racing from Alaska. By 2001, outdoors television had been recast on ESPN from an often localized mom-and-pop affair to a high-tech national industry that brought the best equipment; the best on-air personalities like Tommy Sanders; and the highest standards ever applied to outdoors programming. So much so that earlier this decade, the ESPN powers that be decided to purchase the Bass Anglers Sportsman Society from founder Ray Scott. That move would soon bring big time sponsors and propel tournament bass fishing into the national spotlight with a weekly Bassmaster Tournament Trail television program on ESPN2 to full-fledged wire-to-wire ESPN television and Internet coverage of the world’s top fishing tournament, the Bassmasters Classic. The powers in Bristol also decided at some point to re-launch the small outdoors section on ESPN.com, turning it into a full-fledged ESPNOutdoors.com Web site. That’s where I entered the scene, being blessed to be able to seize upon a God-orchestrated moment of being in the right place at the right time. In a matter of weeks, I went from delivering local radio newscasts and writing local outdoors copy to helping men like Ed Scheff, Brett Pauly, Brian Lynn, Jeff Phillips, Jeff Rhoton and others launch EO.com. When the new site went live in 2001, it was something I’ve never been more proud to be a part of. Why? Because it was a constantly updated product that I’ve often described as a cross between a real-time outdoors oriented USA Today newspaper and an Internet version of a full-fledged, feature based outdoors magazine. While bass fishing was always been a huge part of ESPN Outdoors, deer hunting and duck hunting would also come to occupy prime territory in the ESPN Outdoors world. That would occur thanks to television programming featuring Tom Miranda, Bert Jones, and Larry Csonka among others; to breaking news stories on the EO.com site about huge bucks and bulls; and the eventual arrival of Bill Jordan, David Blanton and the Realtree Outdoors gang. In recent years, Steve Bowman, Steve Wright, Kyle Carter, James Overstreet, and Larry Towell would bring duck hunting to the forefront of ESPN Outdoors with live streaming of the World Duck Calling Championships in Stuttgart, Ark. and the annual continent-crossing “Duck Trek” adventure featuring good writing, epic photography, and breath-taking video clips. But all of that is coming to an end tonight as the clock strikes midnight. Earlier this year, ESPN decided to sell BASS to McKinnis and a group of investors and to pull the plug on all outdoors television programming except for a smattering of BASS shows. And more recently, the Bristol giant decided to retire ESPNOutdoors.com effective Jan. 1, 2011. Bringing down the curtain on arguably the most influential – and in my humble opinion, the best – outdoors news and programming source of all time. But then again, how could I not be biased about a job – and a passion – that allowed me to communicate the outdoors world by the written word, by photography, and by radio? And a job that blessed me with the opportunity to travel, to hunt, to fish, and to meet some of the outdoor world’s most interesting people all the way from Alaska to Mexico, from New York to California, and from Texas to North Dakota? And to work with some of the very best people that the outdoors industry has to offer? So, with my bias duly noted, let me say that it’s been fun and it’s been real. And now it is all over. So long ESPN Outdoors – it’s been nice knowing you.